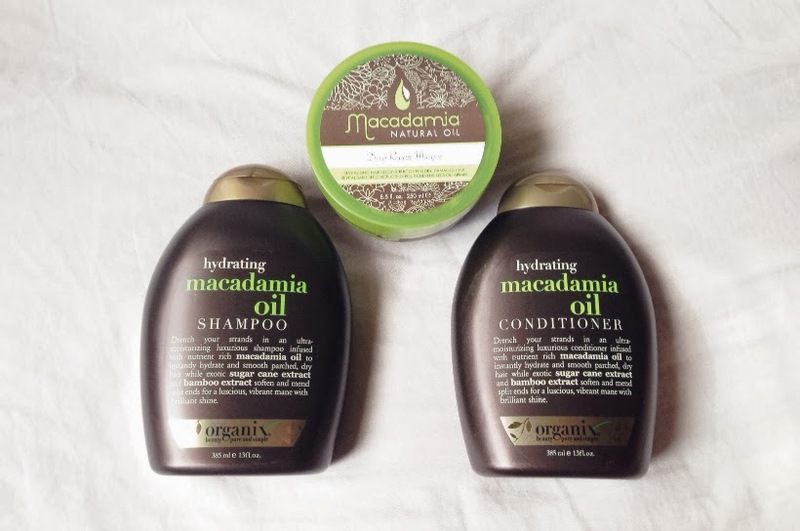 A quick post on my current obsession for macadamia oil hair products. Since I love how hydrating and nourishing the ever famous hair mask is (purchased a few months back), I decided to give the Organix version (sulfate-free) a try when shopping for a new set of shampoo and conditioner. Generally, macadamia oil, similar to argan oil is great for keeping processed or dry hair (like mine) nice and soft. The hair mask actually contains argan oil in its ingredients, andddd you know I can’t live without my bottle of Moroccanoil.